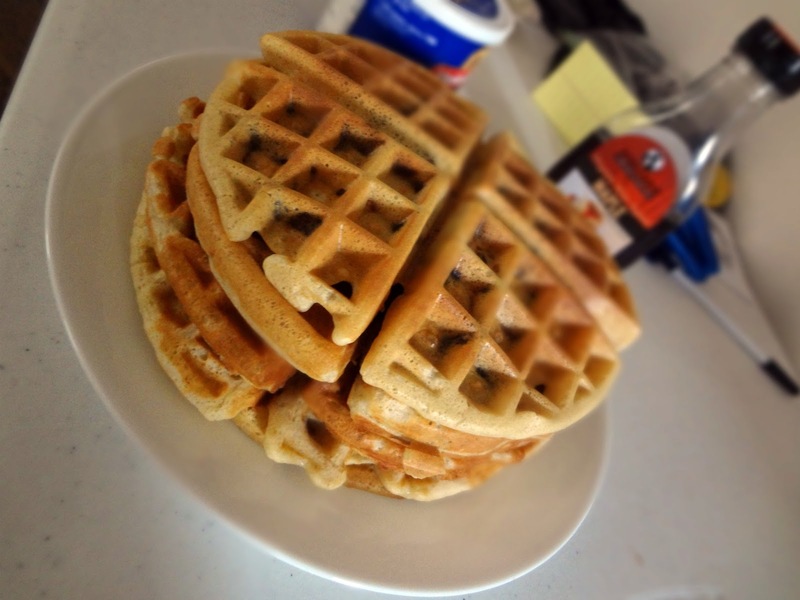 Adapted from Annie's Eats "Chocolate Chip Waffles" and All Recipes "Oat Waffles"
Optional: Chocolate chips, to taste. Whisk together flours, baking powder, and salt. Separate the 2 egg yolks from the 2 whites. Whisk the yolks, milk, oil, and vanilla together. Whisk the liquid ingredients into the dry until a batter forms-don't over mix. Whip the egg whites until they begin to hold a loose peak. Scatter the sugar over them and then continue whipping until they form soft peaks. Cook in a waffle iron. Once they're cooked, to keep them warm you can keep them in a 200 degree oven. i can eat one of these waffles! Yummy! That is a great looking waffle - sounds so great. Check out our website sometime soon @ bloomeveryday.wordpress.com. :) We would love to share some of our recipes with you.